Rat Boy is always asking me to make this for him, and it’s so easy, I probably should more often. But then he’d just be tired of it, and it wouldn’t be a treat then. 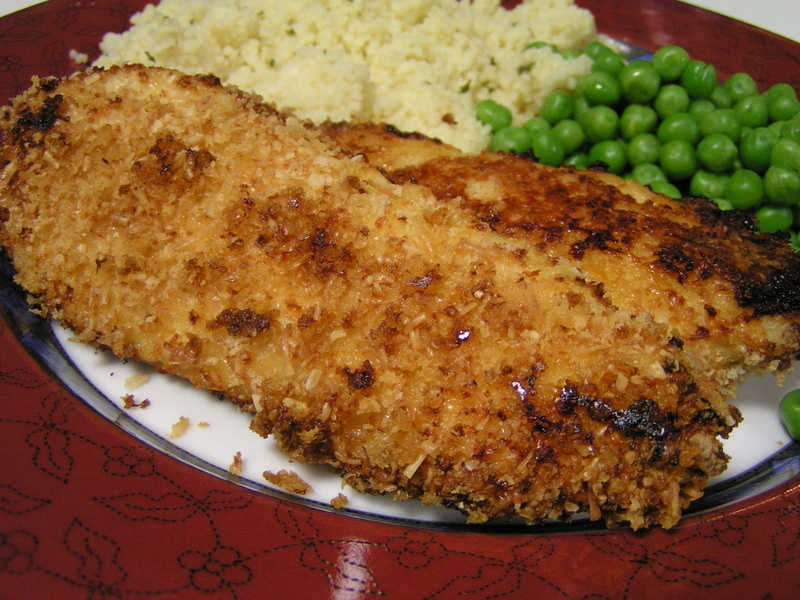 Use boneless, skinless chicken breasts for this. It keeps really well, and is good cold on a sandwich, or even by itself, so make plenty! 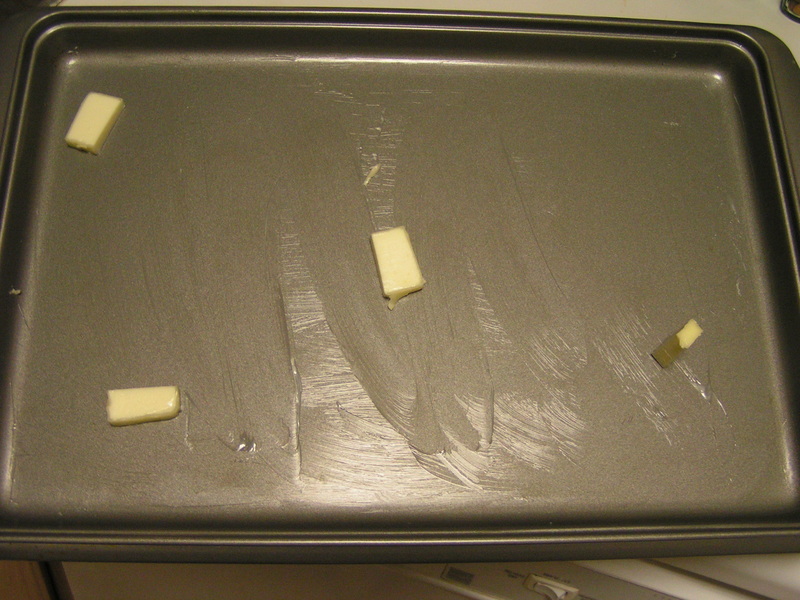 Butter a baking sheet (with sides) well. Really well, as the butter will kind of fry the chicken to heavenly. 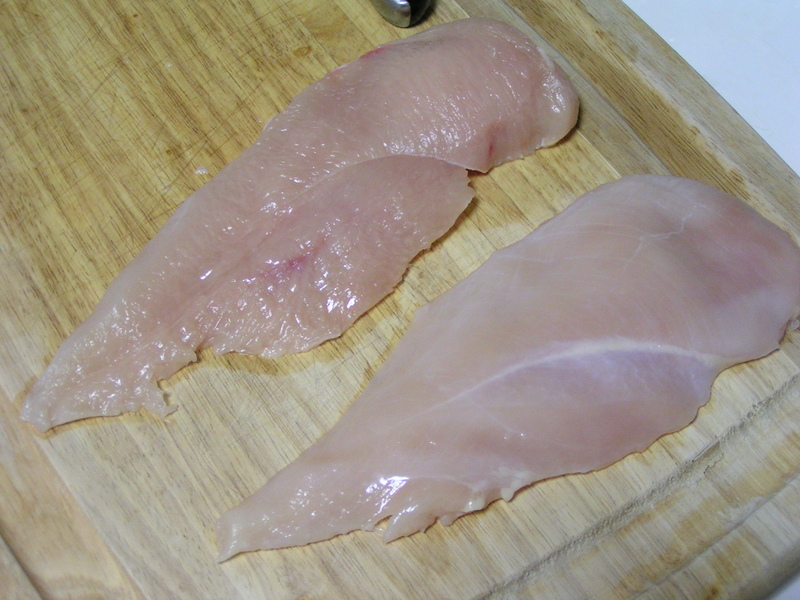 Slice teh breasts in half crosswise to make them thinner. and one for a beaten egg. 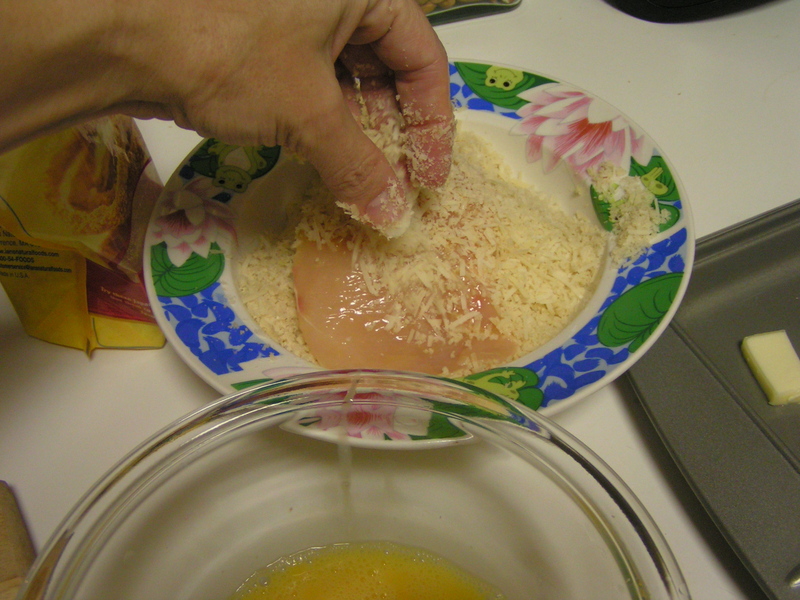 Using a shallow, wide bowl for the breadcrumbs works the best. 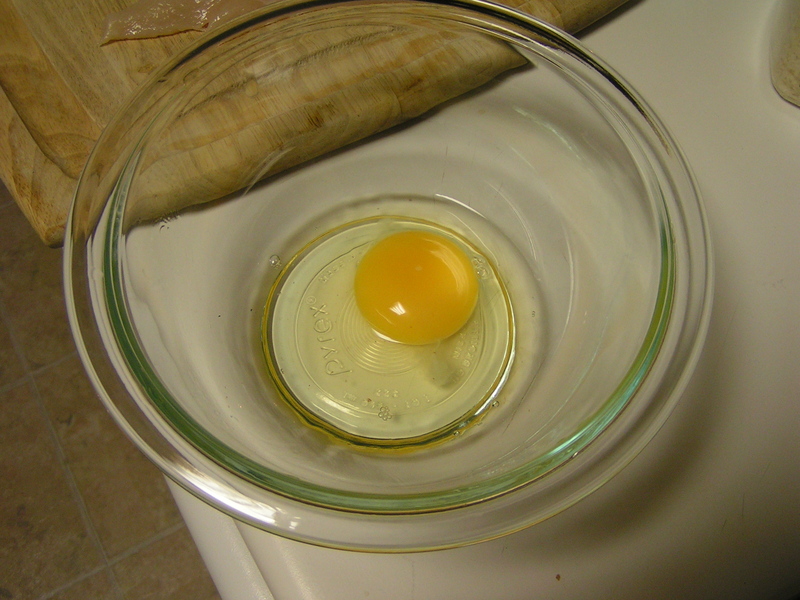 Dip the chicken pieces in the egg. 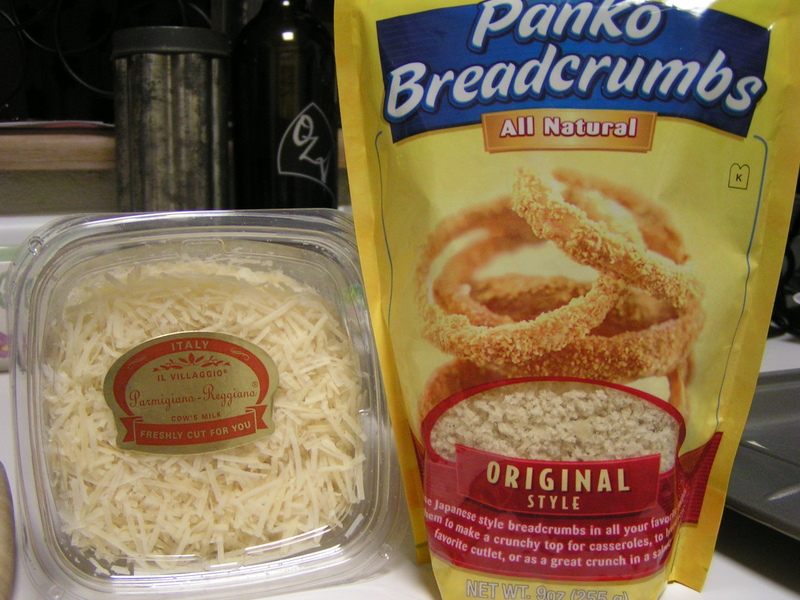 Then into the breadcrumb/cheese mix. You can press it on to get a nice thick layer. Your fingers will be goopy, but it’s really worth it! 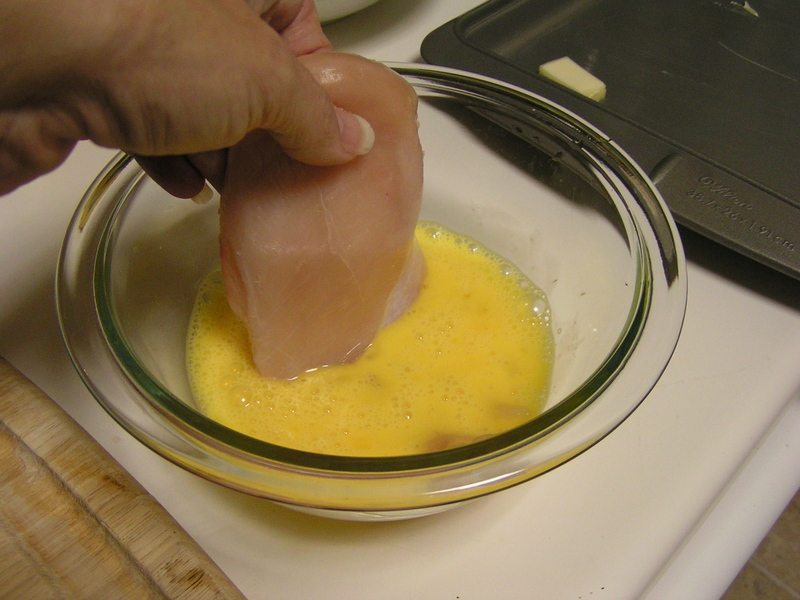 Lay the chicken in the melted butter on the baking sheet. Pat any remaining crumb mix onto the bald spots, then bake at 350F for about 20 minutes. 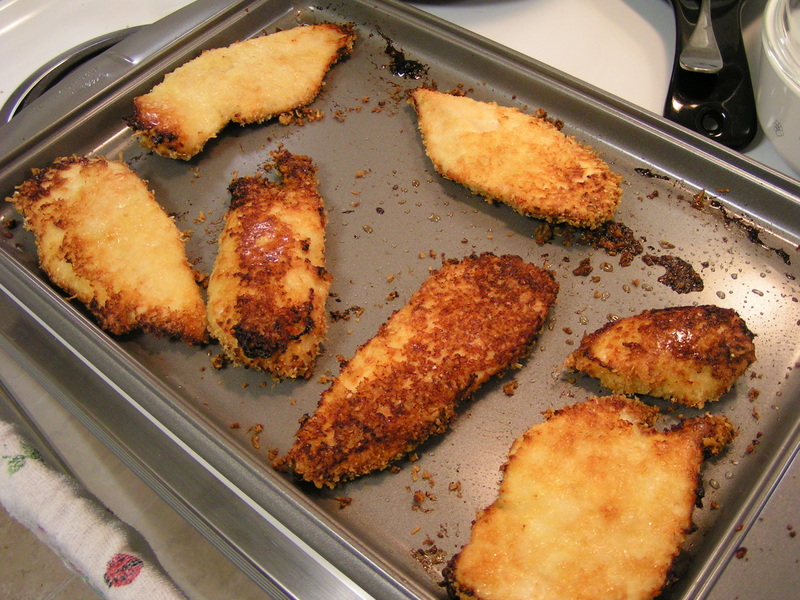 Flip the chicken pieces over, and bake another 10-15 minutes, until the pieces are nicely golden brown and crunchy. If your oven is a hundred years old like mine, you’ll need to rearrange the pieces so they are evenly cooked! Oh, and don’t forget the wine. You deserve it! Please ignore all that stuff in the background. I was washing up while the chicken was baking. 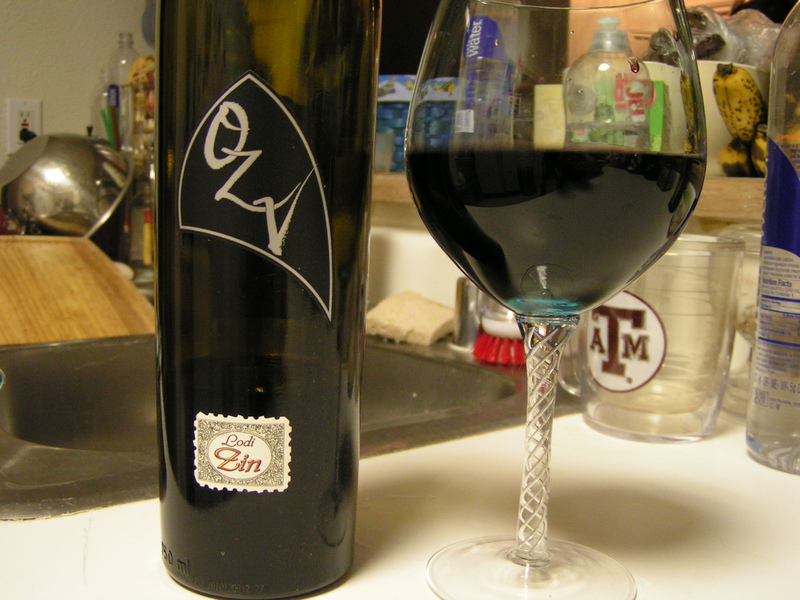 Now, I can enjoy the wine! 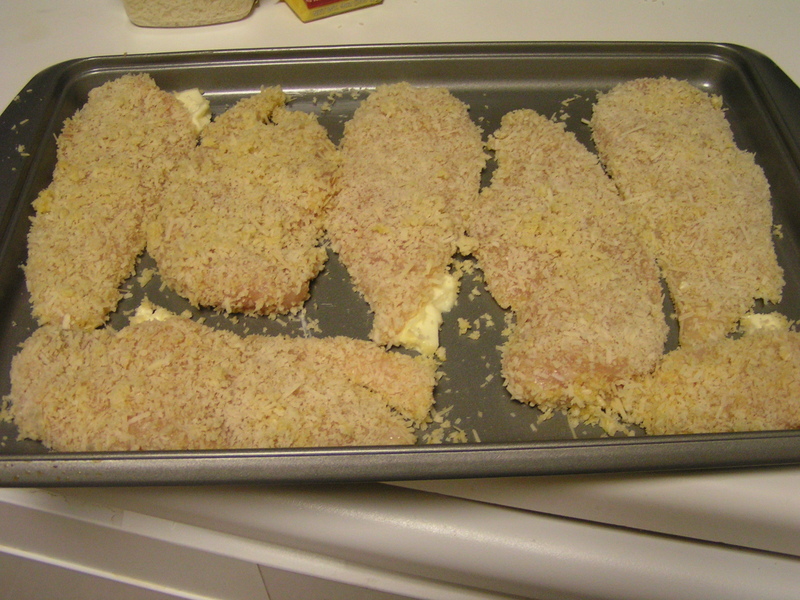 I love making parmesan chicken. I also enjoy pounding the breast filets until they are almost see-through. I’m finding alternative, quiet cooking methods because Hubby sleeps next to the kitchen!